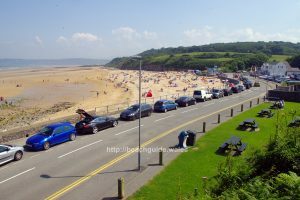 Benllech beach, on the north east coast of the stunning Isle of Anglesey is the location of our next beach clean on November 5th. Come and join us for an afternoon well spent helping to keep your local beaches clean and welcoming for all. Time: 14:00 – 16:00, or as long as you can stay. This event is suitable for all grades. All you need is a sensible pair of shoes and gloves to protect your hands. We will provide bin bags for rubbish collection. Parking at the beach front is limited however Upper Wendon Car Park is nearby. Please note that you will need to seek approval from your line manager to take part in this volunteering and any travel and subsistence costs must be met by your department. Fantastic few hours in a beautiful part of the world. Great to be involved, but quite sad to see how a beautiful beach, at first glance pristine, had almost 5 sacks of rubbish collected in just a couple of hours.